REGISTRATION CLOSED: Attendance at first class on 1/03/19 was required. Why do we put so much energy into chasing after happiness, only to be disappointed? Why is it so hard to find peace and contentment? Buddhism teaches that true freedom and happiness can only be found within, by transforming our own minds. Find out more about this essential truth that the Buddha taught. This course, based on the Four Noble Truths, the first teaching the Buddha gave after his enlightenment, will include lectures, discussion periods and meditation sessions. 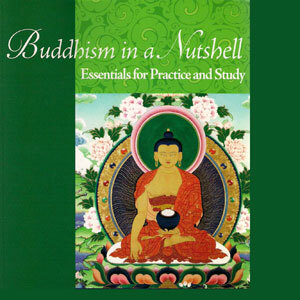 Buddhism in a Nutshell is an FPMT Education Department introductory level course. This program is appropriate for beginners with no prior knowledge of meditation or Buddhist philosophy, and also for more experienced students wanting to deepen their understanding. Venerable Tenzin, an American Buddhist nun and resident teacher at Vajrapani Institute, is authorized by the FPMT to teach at both the foundational and in-depth level as well as to lead long retreats. She is also a teacher of the a.r.t. 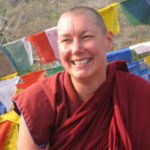 of Fulfillment, one of the secular programs of the Foundation for Developing Compassion and Wisdom, and is a certified teacher of Compassion Cultivation Training, a program developed by Geshe Thubten Jinpa and colleagues at Stanford University. In addition, she is certified teacher of Cultivating Emotional Balance, a secular program in dealing with emotions developed by Alan Wallace and Paul Ekman at His Holiness the Dalai Lama’s request. Click here to register or donate for this course.